Many people deal with chronic ankle pain on a regular basis due to injury or arthritis. In the past, the most commonly recommended solution was an ankle fusion. Unfortunately, this results in a complete loss of mobility in the ankle and can have negative effects on the joints in the body. With major advances in medical technology, total ankle replacement is becoming an increasingly popular solution to reducing ankle pain while maintain mobility in the ankle. Instead of fusing the joint together, total ankle replacement replaces damaged portions of the joint with prosthetics, providing immediate pain relief. Total Ankle Replacement, also known as Total Ankle Arthoplasty (TAA) is a procedure often used in place of Ankle Fusions as it allows for increased ankle mobility after ankle surgery and carries fewer complications. The best results for the treatment of ankle arthritis occur if the disease is caught and treated early. People with ankle arthritis have many ways that they can manage the problem themselves. Maintaining an appropriate body mass index (less than 28) helps prevent progression of arthritis. Low-impact physical activity helps arthritis as well. Inactivity is not healthy for cartilage and actually leads to further degradation of the cartilage and progression of arthritis. Conversely, high-impact activities also promote progression of the arthritis; this is particularly true if there is an angular deformity or alignment issue still present. At Warner Orthopedics & Wellness, we perform extensive evaluations in order to develop detailed, thoughtful treatment plans for each of our patients. There are a number of injections that are available and are regenerative in nature. These injections are natural and promote healthy tissue and growth. One is platelet rich plasma (PRP). This has been shown to be more effective in some studies than hyaluronic acid. The platelets from a blood-draw are injected directly into the ankle joint. As the platelets break down they release proteins and cytokines that promote cartilage health and healing. Average Recovery Time: Minimal recovery time, it’s generally recommended that you reduce activity for up to 2 weeks after treatment. Ankle arthritis hurts most often during periods of activity. This pain occurs because the tissue surrounding the damaged area is stressed to the point that it causes pain. In addition, instability in the ankle causes abnormal motion, creating additional stress and force on the ankle. Bracing for ankle arthritis works based on the theory that providing additional external support for the ankle helps prevent abnormal motion. Bracing methods can range from casting (which reduces all motion) to a compression sleeve. Average Recovery Time: Once an injury or condition is braceable, activity can usually begin. The purpose of a brace is reproduce normal stability of the joint to allow for normal activity. Ankle fusion is the traditional treatment method chosen for treating ankle arthritis. During an ankle fusion, the ankle is completely fused, removing ankle mobility in exchange for a reduction in pain. A surgeon removes the damaged cartilage in the ankle from either side of the joint, and fuses the bones in the ankle together. While the procedure is effective at eliminating pain associated with ankle arthritis, it also renders the ankle immobile. Historically, ankle fusions have been the standard treatment for ankle arthritis and for some time has been believed to be the only effective option for eliminating pain. Today, there is increasing evidence that ankle fusions are detrimental to the foot and well as other major joints like the knee and hip. By removing mobility in the ankle, evidence shows that puts additional stress on other joints in the body, increasing the potential for degeneration in the joints. After Surgery: Generally, you will not be allowed to put weight on your foot for about 3-4 weeks. You will gradually approach full weight bearing in a cast or boot, and then a strong brace for 1-3 months. Afterwards, you will be transitioned into a soft brace. Recovery & Rehabilitation: Therapy and rehabilitation generally begins 4 weeks after an ankle fusion surgery. Total Ankle Arthroplasty, also known as Total Ankle Replacement, is becoming one of the more popular surgical options for ankle arthritis. The reason behind this popularity and preference is that unlike ankle fusion, a total ankle arthroplasty replaces the ankle joint instead of fusing it, allow the patient to retain mobility in their ankle. In the past, many surgeons have chosen to perform ankle fusions based on the results of total ankle replacements in the 1970s and 1980s. Since then, significant improvements have been made in both the procedure and the materials/tools used, resulting in Total Ankle Arthroplasty becoming a much more commonly used and reliable alternative to ankle fusions. Total Ankle Arthroplasty js a relatively safe procedure, with only a 1.4% complication rate after 30 days and less than a 1% mortality rate after surgery. Results of a Total Ankle Arthroplasty are often better than those of an ankle fusions for ankle arthritis, and are considered dramatically better than an ankle fusion in terms of maintain ankle mobility and for prevention of arthritis and damage in associated joints. After Surgery: Generally, you will not be allowed to put weight on your foot for around 4 weeks. You will gradually increase to full weight bearing over the following 2-3 weeks. Recovery & Rehabilitation: Therapy generally begins around weeks 3 or 4 after surgery and can last 1-2 months. You will go from a cast/boot to a custom brace around week 6 and to a soft brace around week 8-10. When your dealing with pain, you need to know that your in expert hands when it comes to your treatment. Too often, ankle fractures are addressed by whoever is on call at that time, and specialists are not involved until it is too late and arthritis has already set in. Dr. Warner is a Board Certified Orthopedic Surgeon and foot & ankle pain specialist. 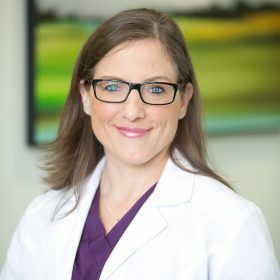 She is fellowship trained in complex foot and ankle reconstruction and is an expert in treating orthopedic conditions like ankle arthritis, bunions, fractures, diabetic foot care, complex workers comp injuries, and other general orthopedic conditions. Dr. Warner served as a Major in the U.S. Air Force, with two deployments to Iraq and Afghanistan, as a combat surgeon. She is the inventor of The Healing Sole, a medical-grade flip flop designed to treat foot pain caused by plantar fasciitis, heel spurs, and arch pain. Patients travel from all around the country to be treated by Dr. Warner because she provides the highest level of care possible.